Welcome to our #pottyadventures Instagram community roundup week 65. After a couple of weeks off, due to being away at the weekends, were delighted to be back sharing some of our favourite Instagram photos. Each week we select our 8 favourite photos that have have used the #pottyadventures hashtag over on Instagram. The only rule is that photos have to be outdoors and family-friendly. We missed last week’s roundup due to being away but we’re back with a bang this week. Consequently, this really is the place to vanquish your Monday blues and get your fix of outdoor family fun. Another benefit is that you’ll find a great bunch of other like-minded and inspirational families to follow on Instagram. So, do check out our featured accounts as they’re always packed with bucket list destinations and great activity ideas. As always, all you have to do is include the hashtag #pottyadventures on your Instagram photos for a chance to be featured. We’ve had a really busy period here at Potty Adventures HQ. I managed to escape one weekend into the glorious Peak District National Park for a navigation course. I’ll do a full post on it in the very near future (memo: add to ever-growing to-do list!) so all I’ll say for now is that it was simply amazing! Getting away from the recognised paths and trails and yomping over wild moorland to hone our navigational techniques was just a great way to spend a weekend. Back to the #pottyadventures Instagram community roundup and, as ever, we have an awesome collection of images. The first of our featured favourites was hashtagged by @12summersfamily. 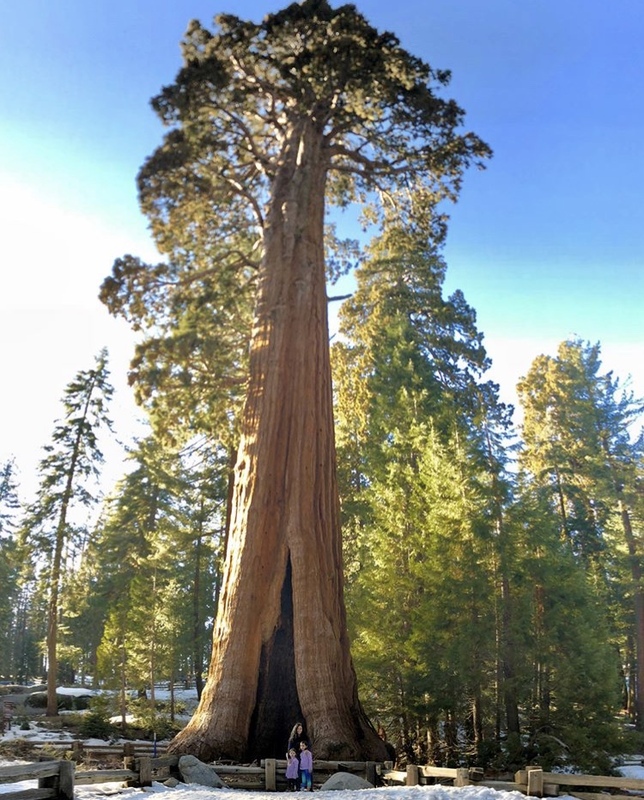 Taken at the wonderful Sequoia National Park, California, these trees have just got to be seen to be believed! Next up we have @havekidswilltraveluk. They hashtagged us in this great photo of their adventure to Lake Bohinj, Slovenia. As you can see, it certainly looks like the perfect place to kick back and soak it all up. From one great place to kick back to another. Here’s @weneedmorewild hashtagging us from Colorado, USA in an image that reminds me just how much we miss our family dog. The last of our featured favourites this week was hashtagged by @jugglingskates from Gloucestershire, here in the UK. They’ve been enjoying a glamping break, which is something we could definitely do with right now. This particular one looks awesome.